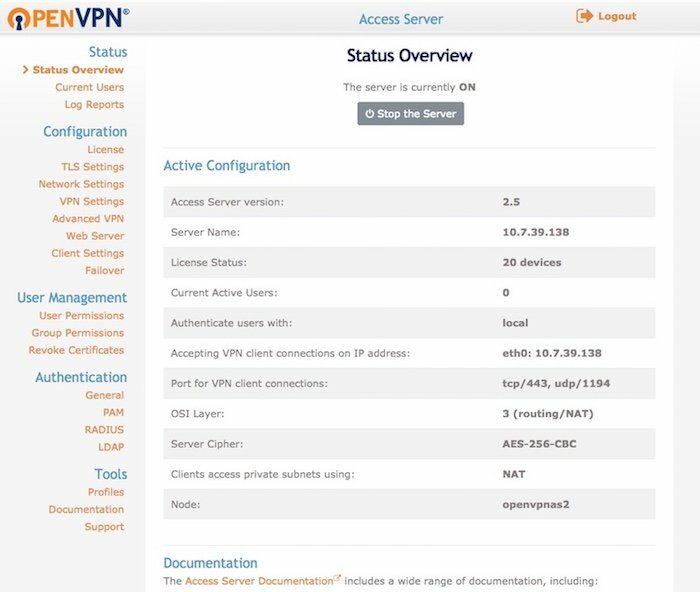 The VPN Settings page allows you to configure options like the Dynamic IP Address Network which is OpenVPN Access Server's internal DHCP system. By default the subnet is set to "172.27.224.0/20" this can be changed to a subnet that might work better for your current network. The routing section gives the option to push certain routes to networks the OpenVPN Access Server is sitting on to remote clients. There is also an option that allows client internet traffic the ability to be forwarded through the OpenVPN Access Server. 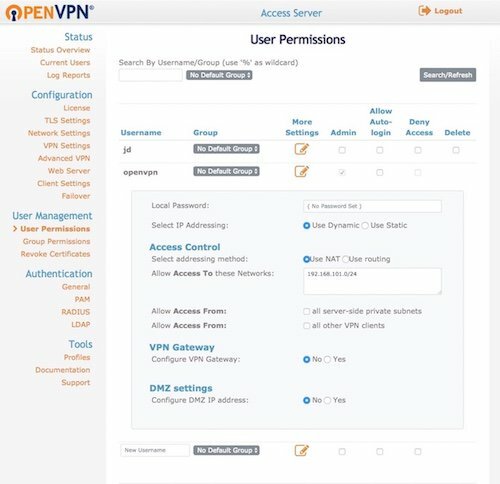 Users have the option to either Connect to the VPN or Login to the Connect Client. When connecting the user will be connected to the VPN directly through their web browser. 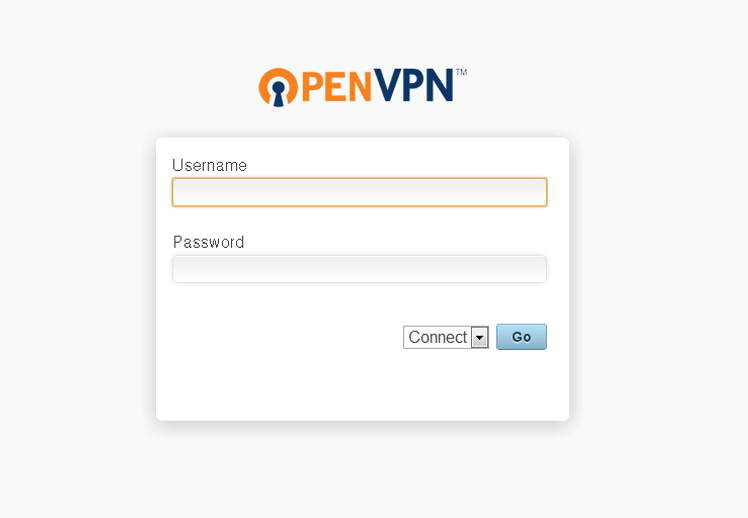 When the user decides to login to the Connect Client they can download their user configuration files (client.ovpn) and use them to connect to the VPN with other OpenVPN Clients.